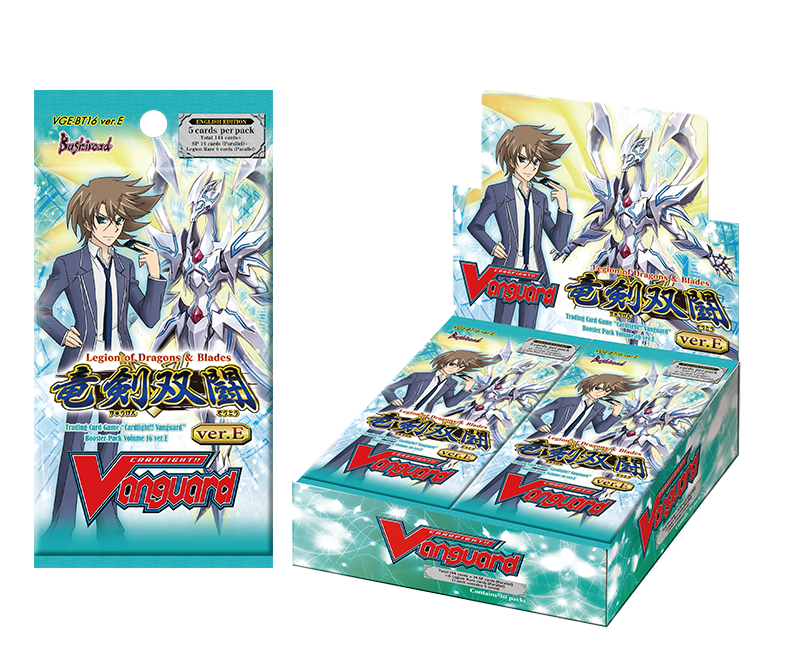 Singapore (January 16, 2015) – More than 950,000 packs were sold in less than one month after the official release of Cardfight!! Vanguard Booster Pack Vol. 16 ‘Legion of Dragons & Blades’ ver.E on December 19, 2014. This booster pack expansion joins the list of other Cardfight!! Vanguard expansions that were completely sold out within weeks of their release dates. Previous expansions, Extra Booster Pack Vol. 11 ‘Requiem at Dusk’ and Extra Booster Pack Vol. 12 ‘Waltz of the Goddess’, sold more than 600,000 packs over the weekend. The next expansion, Booster Pack Vol. 17 ‘Blazing Perdition’ ver.E, will hit the shelves from January 23, 2015. Cardfight!! Vanguard is a popular trading card game developed by Bushiroad Inc. in early 2011. It is currently available in four languages; Japanese, English, Korean and Thai.